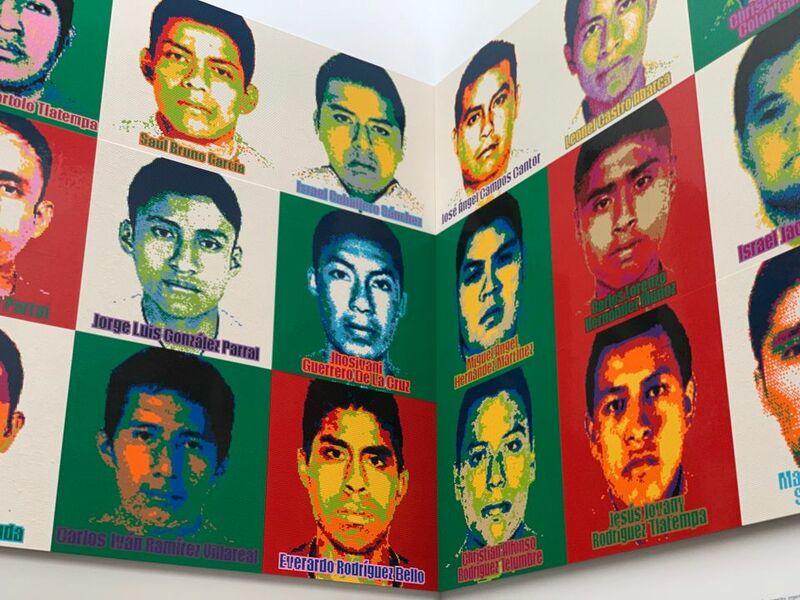 For the 10th anniversary of MUAC-NUAM, the Museum of Contemporary Art at the National Autonomous University of Mexico, the Chinese artist-activist Ai Weiwei has created a new installation based on a national tragedy—the 2014 kidnapping and killing of 43 student teachers from Ayotzinapa in Guerrero state. According to Mexican officials, the students were turned over to a gang of drug smugglers, who killed them and burned their bodies. The disappearances led to massive national protests and calls from international human rights groups for further investigation. Most of the victims’ remains have never been found, however. The work, part of Ai’s show Resetting memories at the Mexico City museum (until 6 October), takes the form of an in depth documentary investigation into the disappearances, featuring interviews with relatives, friends, officers, and journalists involved in the case, as well as a timeline detailing the known information from 26 September 2014, the date the students were attacked by corrupt police, up to the present day. Portraits of the missing students, constructed with Lego, rise above the installation. The artist, who previously used the toy building blocks to create portraits of political prisoners, considers them a “democratic” medium. “Everybody can use it, everybody recognizes it, and you can reconstruct it,” Ai told AFP.